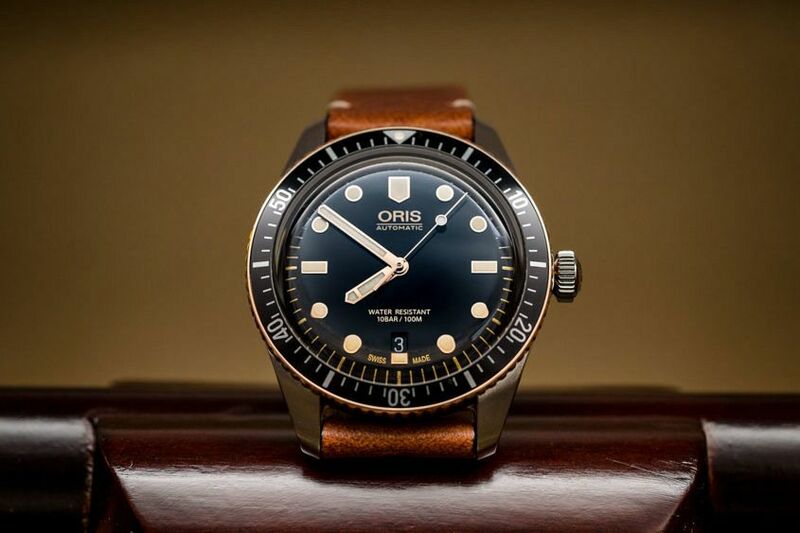 Without a doubt, the standout hit for Oris in recent years has been the Divers Sixty-Five, and for good reason, mind you. First released in 2015, it remained faithful to its inspiration – a model from (you guessed it) 1965 – and nailed the vintage vibe. 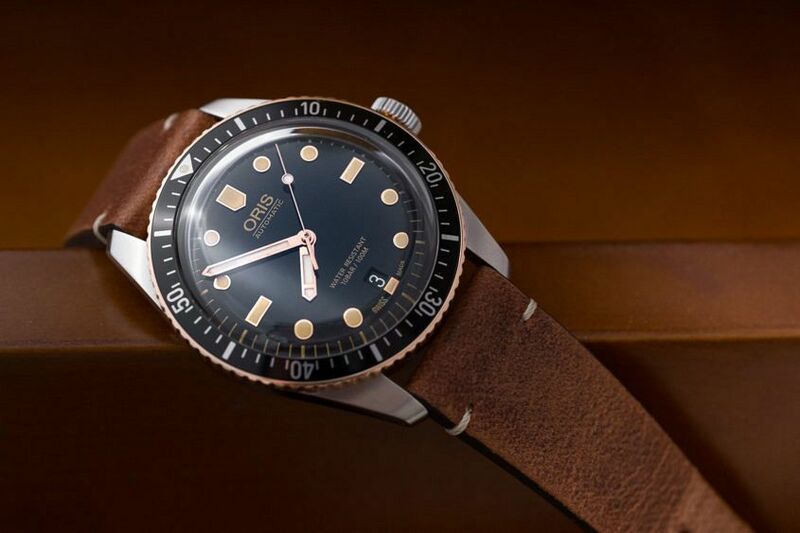 Instantly becoming a crowd-favourite, and quickly followed up by different dial variations with applied dot and baton indices and a 42mm case, as well as bronzed beauties like the Carl Brashear limited editions. Now home to more than two dozen models, Baselworld 2018 sees the collection grow by two, with the release of the Divers Sixty-Five Bi-Colour in both 40 and 36mm. A different take on the classic two-tone approach, the outer ring of the black aluminium inlayed bezel is now bronze, adding a flash of colour that will patina over time. And the stainless-steel case, while still rated to 100m, has returned to 40mm and is joined by a very lady (or small wrist) friendly 36mm version. Both sporting black dials under their domed crystals, with rose gold-plated applied indices and hands, filled with a creamy lume. There’s also a greater sense of symmetry, with the date moved back to 6 o’clock from its usual 3 o’clock position as on the 42mm versions. This combination of a 40mm case, black dial, and date at 6, is also something that we first saw late last year on a Movember special edition of the Divers Sixty-Five, only now with bronze highlights. Both case sizes will come with matching steel bracelets and the option for a leather alternative. The differences might be small, but the impact is big. A glint of bronze on the bezel adds a uniqueness, especially as it blemishes over time. 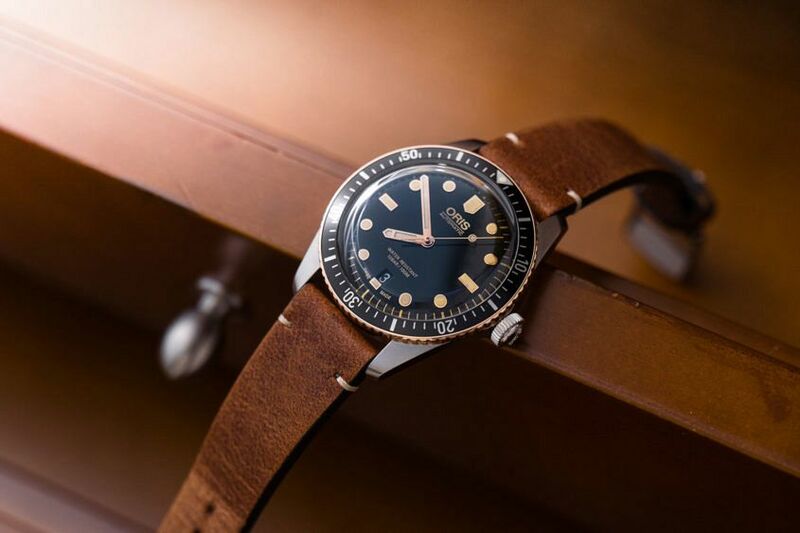 And while I’ve always loved the Divers Sixty-Five for its sleek and colourful dials, black is a more versatile choice and should mean these new dials appeal to a wider audience. It’s great to see the collection rounding out and offering something for everybody, no matter the wrist size.